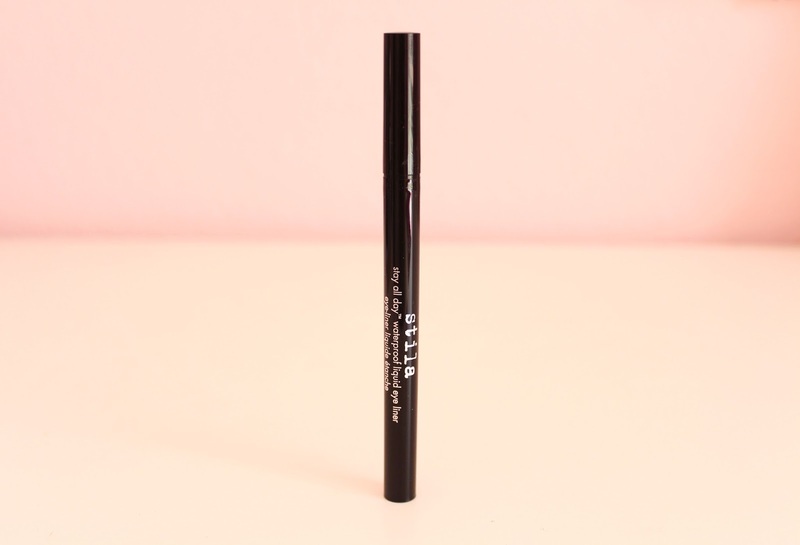 So for my second "featured" post, I am going to be reviewing my absolute favorite liquid eye liner: the Stila Stay All Day Waterproof Liquid Eye Liner. Throughout the years, I have tried and tested so many different eye liners, and this is the one I have settled on for the past year. For everyday, I like to line my upper lash line, often flicking it out. I first used gel eyeliner, then I dabbed into sponge tip liners (like Lancome Artliner), then I started trying out the felt tip pen liners. So many brands make eyeliners like this, but I can honestly say that this one is my favorite. One of the most difficult qualities of felt tip eye liners is their tendency to dry out quickly. I am about to sound very technical, but with pen eyeliners like these, it is necessary for them to have that little ball in the product that helps bring the product to the tip. Yes, it does help storing this upside down, but the ball does really help ensure a smooth application. I have tried various versions of this eyeliner, and because they do not have the ball to bring up the product, they dry out quickly. If you have no idea what I am talking about when I say "ball", it's when you shake the product and you can hear something rattling around in the pen. The tip of this brush is very thin and precise, so you can make a thick or thin line. 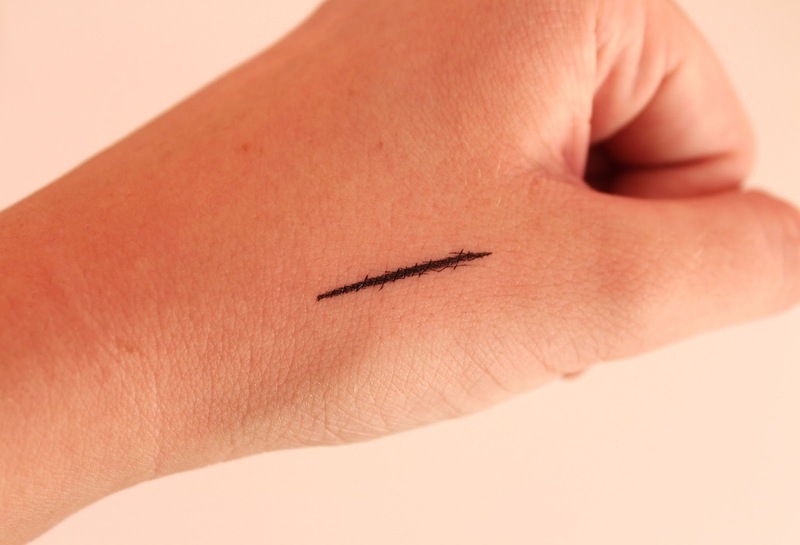 The formula of the eyeliner is the best: it lasts all day, it's waterproof but not too difficult to remove, doesn't smudge easily, and the finish isn't too matte or too shiny. 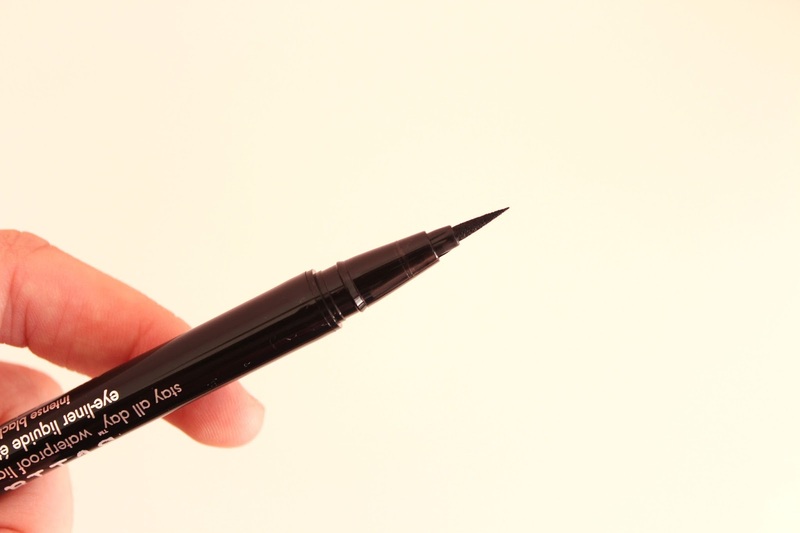 For me personally, this eyeliner is the easiest to apply and is so easy for travel. It retails for $20, but you can definitely get a lot of use out of it, especially if you store the pen upside down. August 16th was a big day for me---it was my eighteenth birthday. I am one of the last of my friends to turn 18, so this birthday was much anticipated. However, I didn't really do anything that big to celebrate. My family and I went to a restaurant in Laguna Beach, which is one of my favorite places in Orange County. The restaurant was in this old beach house right on the water. I took the photo above from our table! It was nice just spending time with my family because I am moving out next friday; I guess I really am an adult. For my birthday outfit, I wore a very mod shift dress I purchased from Joa (I can't seem to find the online store anymore). I got so many compliments on this one and I love the black and white floral print! I paired the dress with these black heels that have a cork platform, by Steve Madden. For accessories, I wore my white, structured bag from ASOS, and a white Michael Kors watch. Surprisingly, the weather in southern California has not been up to par lately; we have been experiencing a rather cold summer. Anyways, my friend Danica and I took advantage of a recent sunny day to go to beach. Ok, it actually wasn't that sunny, but hey, I will take it. 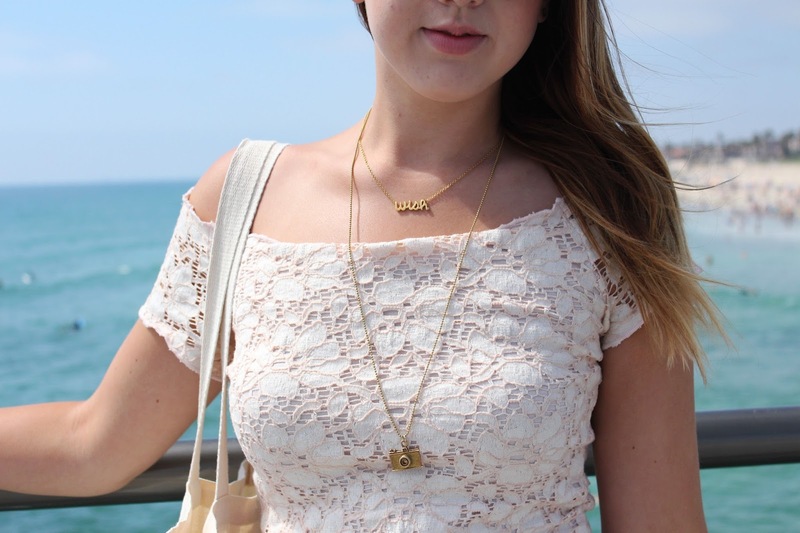 This outfit has been another one of my favorites all summer just because it is so easy. The cropped, off the shoulder, lace top is from Urban Outfitters, and it pairs perfectly with my high waisted denim cut offs by Guess. I have been wearing these denim shorts all summer, and I just keep asking myself why I have never purchased Guess denim before. 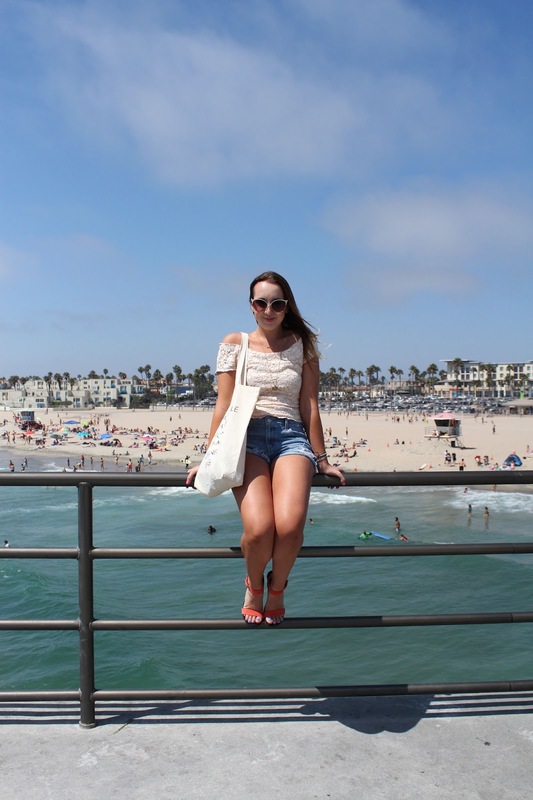 Because we were going to the beach, I brought my favorite tote from ASOS along. 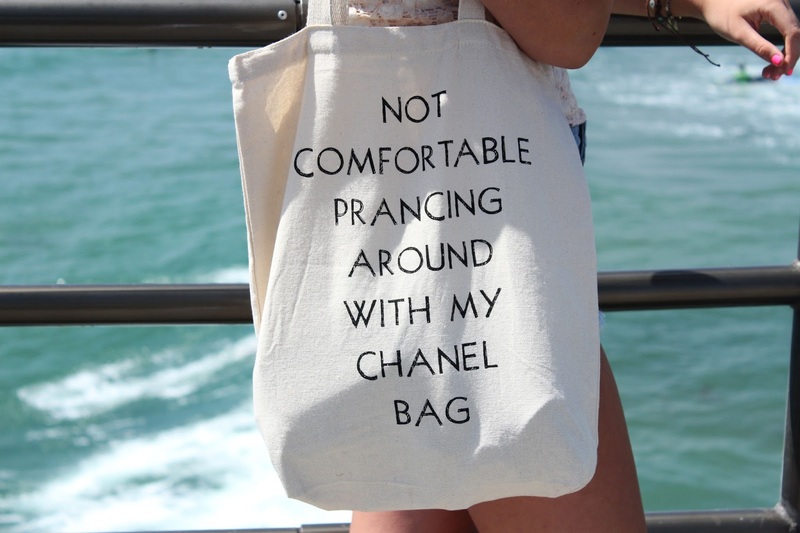 I don't actually own a Chanel bag yet, but I think the saying on the bag is fun. For shoes, I wore these coral sandals by Steve Madden as the perfect pop of color. 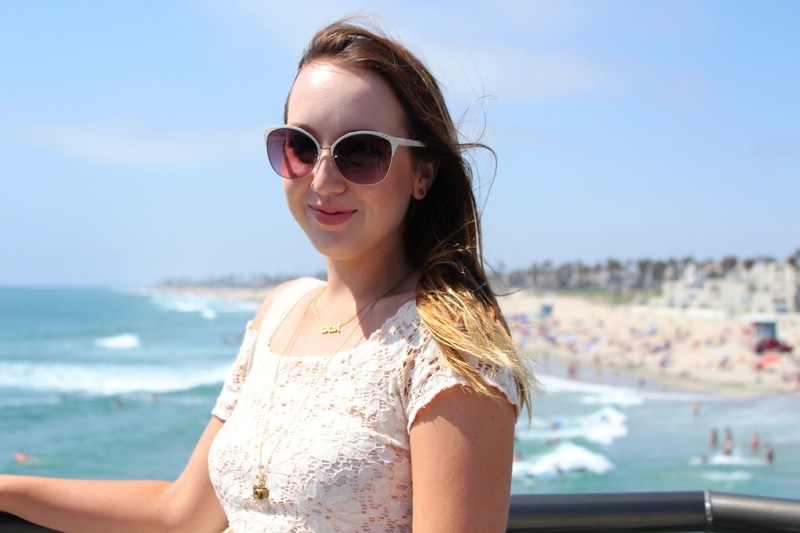 Jewelry was kept simple, and I wore my new Free People cat eye sunglasses. Of course, the best accessory in the summer is a tan...I will let you decide if mine is real or fake. 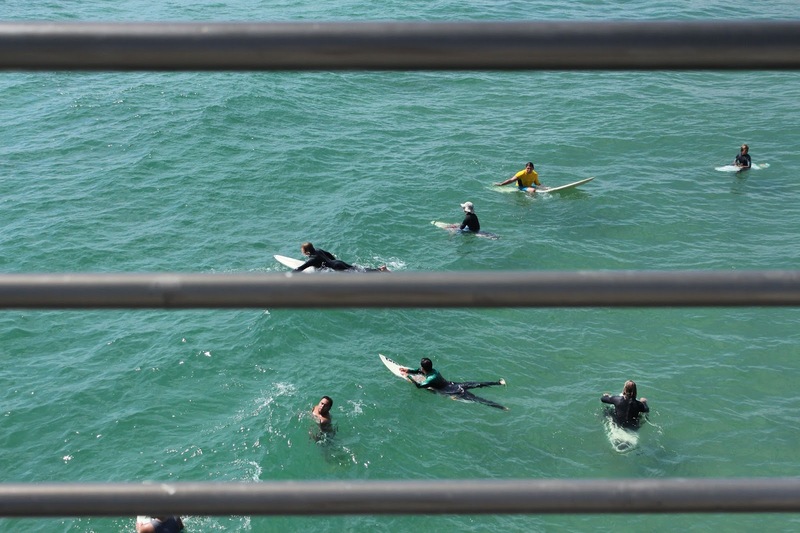 And just for your viewing pleasure, I snapped a photo of some surfers in the water. Enjoy! What? A video? Well...here is a little fun fact about me, I have a youtube channel. I haven't been routinely posting on it for a long time now, and most of my videos are very old. Let's just say, I have done a lot of growing up since posting some of them. Anyways, I wanted to do a post on my "everyday" make-up routine and I thought a video would demonstrate that better than just photos. When I say "everyday" make-up, this is my without fail, go-to routine when I want to look nice but I don't feel like putting a lot of thought into it. I think everybody should have a look, or routine, like this. After doing it so many times too, it only takes me at most 15 minutes to achieve, and that's if I'm having a bad eyeliner day. The first step to my routine is moisturizer. For face, I have been using the Embryolisse Lait-Creme Concentre. It is a pretty thick moisturizer and I think it does a really good job at priming the skin for foundation. If I want a moisturizer with an SPF, I use the Benefit Triple Performing Facial Emulsion. As for lips, I have been loving Smith's Rosebud Salve, which is a classic. For foundation, I switch it up pretty often depending on what I'm going for. Most of the time, I am aiming for light coverage that will just even out my skin tone. In the video, I used Revlon's Nearly Naked foundation, which does just that. I then covered any spots with my Studio Finish Concealer by MAC. As for under the eyes, I just use Maybelline's Dream Lumi Touch, which is a highlighting pen. Most days, I don't have too bad of under eye circles, so I just like to use a light coverage, highlighting concealer. For powder, I used my Hourglass Ambient Light powder because it gives my skin a natural finish. I use two different brushes to do that, one to set my under eye concealer and one to powder the center of my face. I then like to lightly "contour" using my Too Faced Chocolate Soleil Bronzer in the shade Milk Chocolate. This is the best bronzer I have found for paler skin tones. I switch up my blush pretty often, but I just went for a natural pink, using Benefit's Dandelion box powder. As for eyes, I always prime with Soft Ochre paint pot by MAC. This evens out any redness or veining I have on my eyelid and acts as the perfect base for eyeshadow. On the lid, I apply a matte or satin, almost white shade. I used Shroom by MAC in the video but there are so many similar shades (Virgin in the Naked Palette, for example). For the crease, I used Wedge by MAC as well. 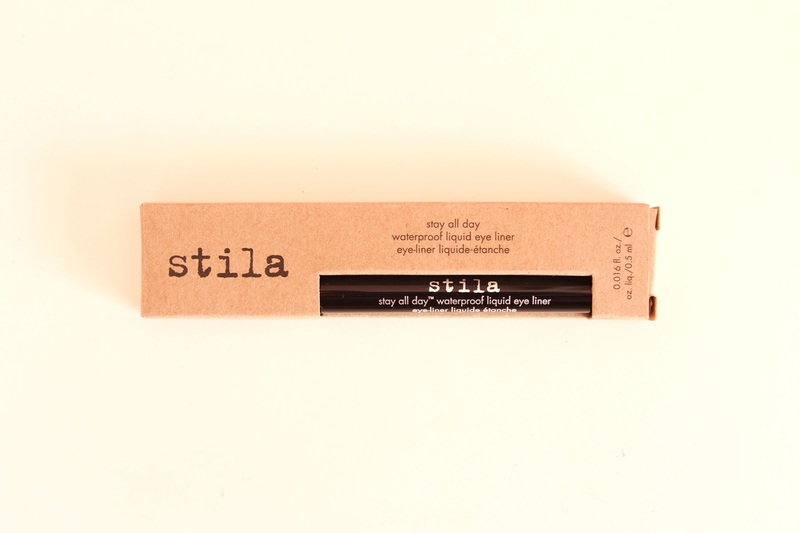 My absolute favorite eyeliner is Stila's Stay All Day Liquid Eyeliner, especially for winged eyeliner. I love winged eyeliner because it is such a simple step that makes it seem like you put a lot of time into your make-up. I promise, with this eyeliner, it is very easy to do a wing! I then curl my eyelashes and apply a couple coats of Maybelline's Colossal Cat Eye mascara. As for lips, you could use anything from a light lip balm to a bold lipstick with this look. I have been using my favorite YSL Volupte Sheer Candy in shade 2 all summer, as it is the perfect sheer peachy pink. The music in this video is by one of my favorite YouTube singers, DanielaSings. She has such a beautiful voice, and she does amazing acoustic covers and has her own EP. I honestly think she has a lot of talent and is really going to go far in the music industry. Hope you enjoy the video! Don't forget to watch it in HD. This dress has been one of my favorites all summer. It is by Free People and the fit is so flattering. I bought this as a graduation dress, but I knew it was casual enough to dress down and up. What I love more about it is the color. The red, burgundy shade is so on trend for fall and winter but the crochet detailing below the bust makes it on trend for summer. Here, I dressed it down with my favorite jean jacket I got years ago from the Material Girl line at Macy's. It fits me like a glove and since I've worn it so much, it has transformed into that soft jean material. The cropped fit of the jacket makes it pair perfectly with just about any dress and skirt. 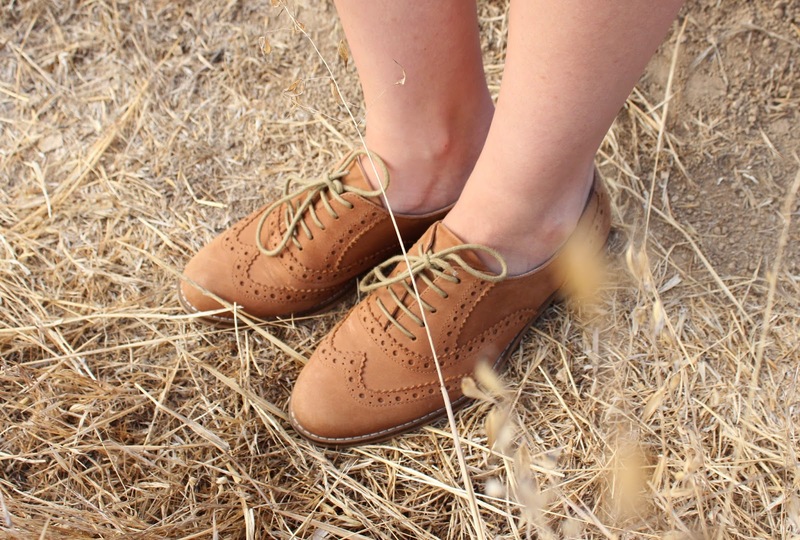 As for shoes, I wore my oxfords which are by Steve Madden. As usual, I kept accessories simple with my regular jewelry and a cross body, structured bag. 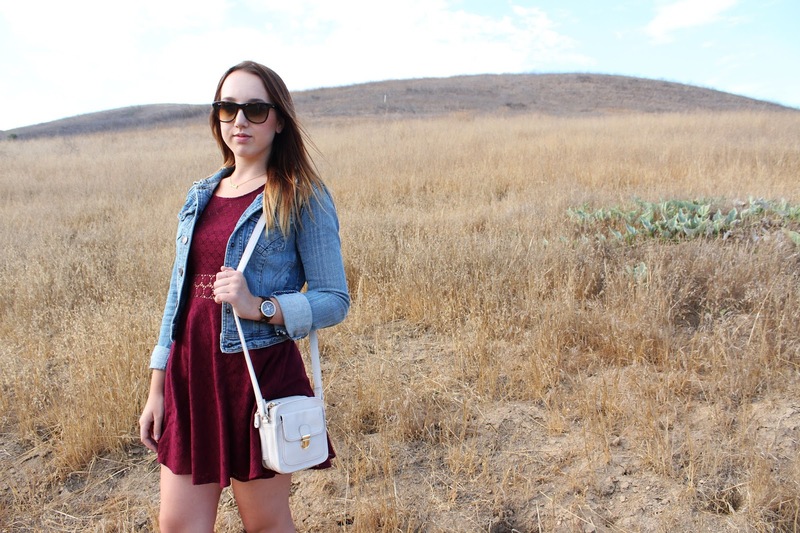 I have been loving structured bags lately! I want everyone I see. 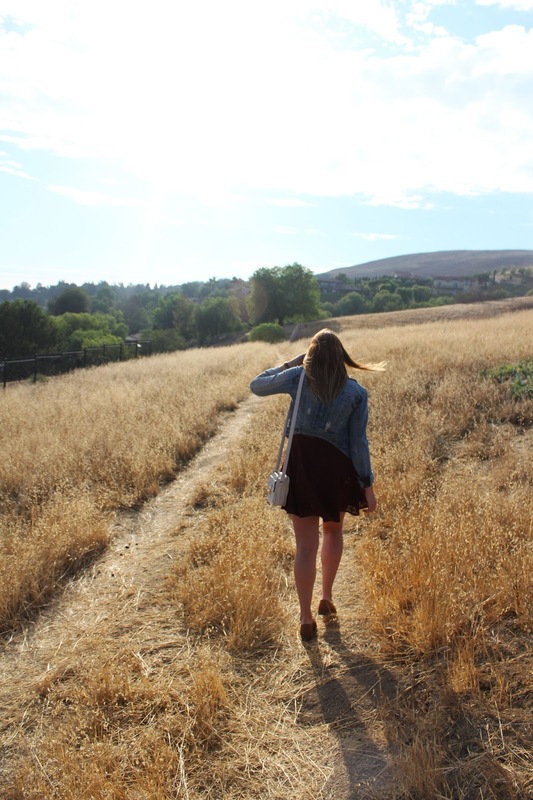 This will be my first "Featured" post on my blog. Basically, I am going to start doing spot features on certain products I think deserve their own post. To start off this series, I am featuring my Clarisonic Mia. 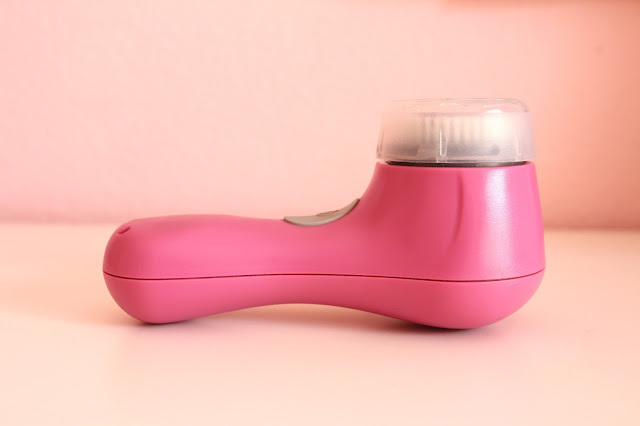 If you have not heard of this skincare revelation, it is a skin cleansing brush that will get a deeper clean than any old cleanser does on its own. I have had my Clarisonic for almost 2 years now, and since using it, my breakouts have diminished and only appear after those fateful nights of not washing off my makeup. 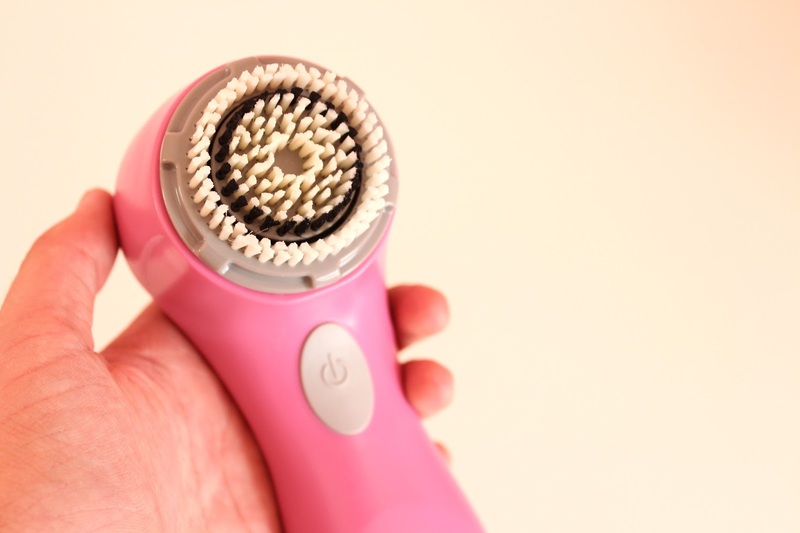 Now, the Clarisonic does not claim it will completely clear up your breakouts. Through my early teens, I struggled with acne and was even put on a prescription to help clear up my skin. 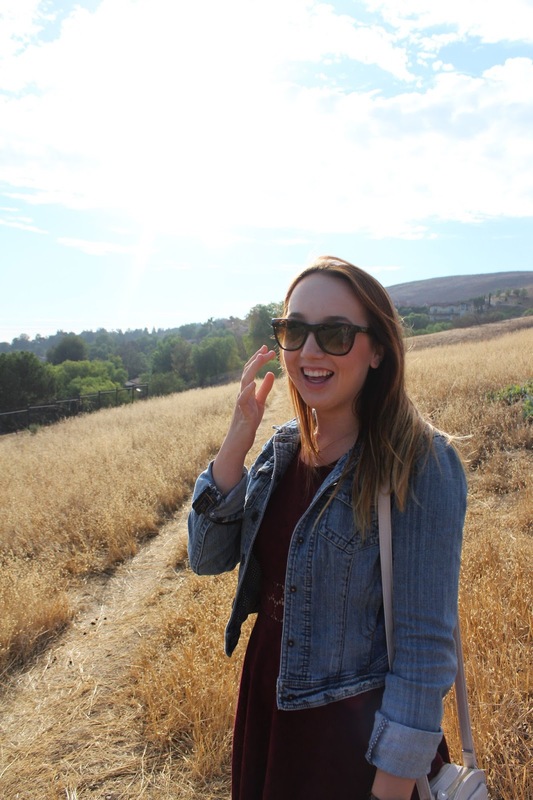 After a full year of using my Clarisonic, my skin was, for the most part, breakout free. Having not had switched up my cleanser throughout this whole period of time, I could either give credit to my Clarisonic, or simply just growing out of my hormonal, teenage acne. In addition to clearing up my skin, I have noticed such an improvement with my skin texture, including minimized pores and a smoother feel. This fancy gadget is my number one skincare recommendation and I can never see myself stop using it. There are four different types of Clarisonic's you can purchase: the original Clarisonic Plus, the Clarisonic Mia, the Clarisonic Mia 2, and the Clarisonic Aria. 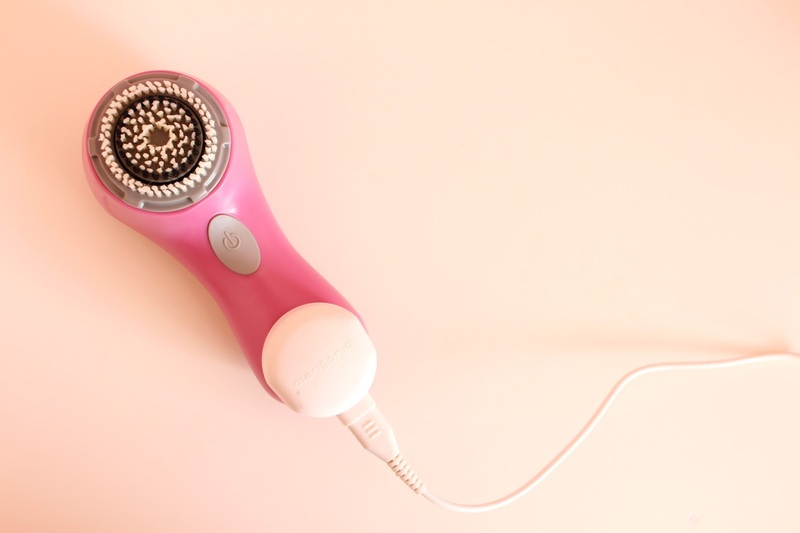 The Clarisonic Plus is a bigger version of the Mia and has three different speeds. The Clarisonic cleanses with a vibrating motion, and having the different speeds just means you can get a deeper cleanse, I am assuming. In addition, you can mount a body cleansing brush head onto the Clarisonic Plus, which you are not able to do with the Mia's. 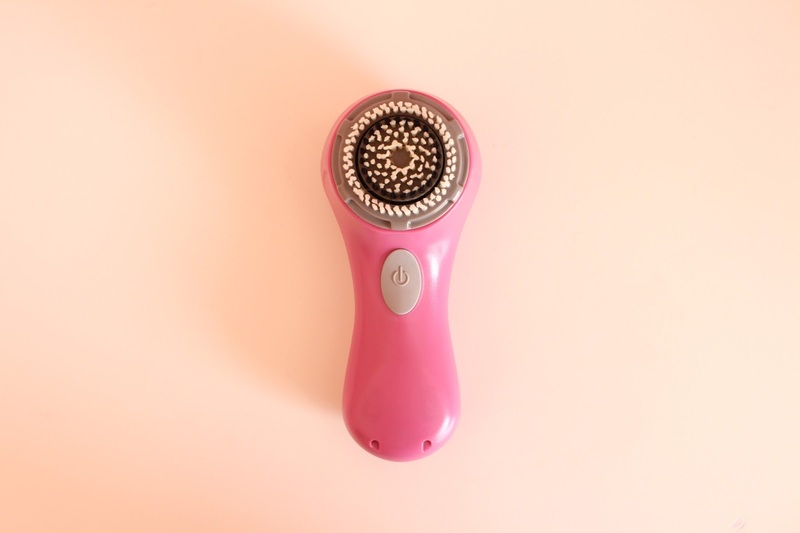 The Clarisonic Mia is a more travel friendly size and only has one speed. I purchased the Clarisonic Mia because it is cheaper in price, more compact, and has more color options to choose from. Since purchasing the Mia, they have brought out the Mia 2, which has two different speeds. Though the two speeds would be nice, I have seen excellent results just from using one speed. I know very little about the Clarisonic Aria, other then that it is bigger than the Mia's and has 3 speeds. As for prices, the Clarisonic Mia retails for $119, the Mia 2 $149, the Clarisonic Aria $199, and the Clarisonic Plus $225. For obvious sanitary reasons, you must replace your Clarisonic brush heads every 3 months. Personally, I replace my brush head when it starts to look like it needs to be replaced. I use my own judgement, and usually when the brush heads looks pretty yellow, I know it's time. There are 6 different brush heads to choose from: normal, sensitive skin, delicate skin, deep pore, acne cleansing, and the body brush head. The brush heads are pretty self explanatory and I have tried the brush heads for sensitive skin, acne cleansing, and normal skin. To be honest, I didn't notice a huge difference between them all besides the fact that the normal brush head wasn't as soft, a little more abrasive. For that reason, I am going to go back to the sensitive brush head that I have used since the beginning. I think I would like to purchase the deep pore cleansing brush head in the future, not for an everyday cleanse, but just to exfoliate once in a while. Now, these brush heads make the upkeep of the Clarisonic pretty pricey. You can purchase one of these brush heads for $25, a two pack for $40, or a four pack for $75. Next time, I will be purchasing the four pack because you basically get the fourth brush head free. I know the price of the Clarisonic is pretty steep, but I personally see it as an investment. Clear skin is something everyone strives for, and I know I can use my Clarisonic for years to come. Other brands have brought out similar concepts to the Clarisonic, but I think the quality of the Clarisonic is the best. Like I said, I have had mine for 2 years and have yet to have a problem with it. If you are having issues with your skin, I think the Clarisonic is a skincare miracle that any gender and age can benefit from.